Find your dream job as a SAP FICO fresher. There are plenty of opportunities for fresher candidates also. Only two things you need to do – 1. find the best SAP FICO training institute and 2. Register your name for FICO training. But, before going to take any decision you need to know something about SAP FICO. What is the full form of SAP FICO? SAP FICO stands for SAP Finance and Control. SAP FICO is one of the most popular Modules in SAP and the training material is designed for an End User as well as a Consultant. 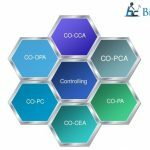 SAP FICO consists of two major modules essential to process financial of a company , viz, Financials (FI) & Controlling (CO). 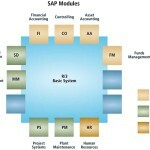 If you are new to SAP the FICO module is viewed as the core of the system and is the most widely used module. Every organization needs a financial solution and virtually every organization that uses SAP uses FICO. If you are new to SAP software we recommend you to learn the FICO module first as the foundation of your SAP career. The other modules are specialist areas and require more specialized SAP education. What is minimum qualification needed to learn SAP FICO?